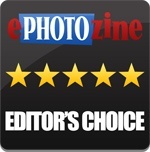 alaTest has collected and analyzed 333 reviews of Samsung NX500. The average rating for this product is 4.3/5, compared to an average rating of 4.4/5 for other Digital Compact Cameras for all reviews. Views about the price and image quality are overall positive. The portability and usability are also appreciated. There are some less positive comments about the low light performance and image stabilizer, while there are mixed comments on the connectivity and focus. We analyzed user and expert ratings, product age and more factors. Compared to other Digital Compact Cameras the Samsung NX500 is awarded an overall alaScore™ of 93/100 = Excellent quality. No viewfinder ; Magnification limited to the centre of the scene in manual focus mode ; More control needed in the Samsung Auto Shot modes. The NX500 has some great features and for the most part an excellent user interface as well as top-notch AMOLED screen. It's also capable of producing very high quality images. The only fly in the ointment is the lack of a viewfinder. Ready for action with great video, the Samsung NX500 is a nice choice for families and travelers. Attractive and well designed, the NX500 delivers great photo and video quality. A shallow manual may leave you scratching your head when it comes to connectivity and video playback. Samsung's $800 NX500 mirrorless camera takes high-res 28-megapixel pictures, and records stunning 4K-resolution video. The Samsung NX500 does high-quality 4K video recording for only $800. Ben Andrews reviews the new Samsung NX500 - with a 28.2 megapixel APS-C BSI CMOS sensor, and 4K video recording, could this be the bargain mirrorless camera of the year? Ben Andrews goes hands-on with the new Samsung NX500 - with a 28.2 megapixel APS-C BSI CMOS sensor, and 4K video recording, could this be the bargain mirrorless camera of the year? Samsung's latest NX offers the spec of an enthusiast DSLR in a temptingly portable package.